Liverpool resume their campaign after the second international break of the season with an away game against Huddersfield Town in the Premier League. 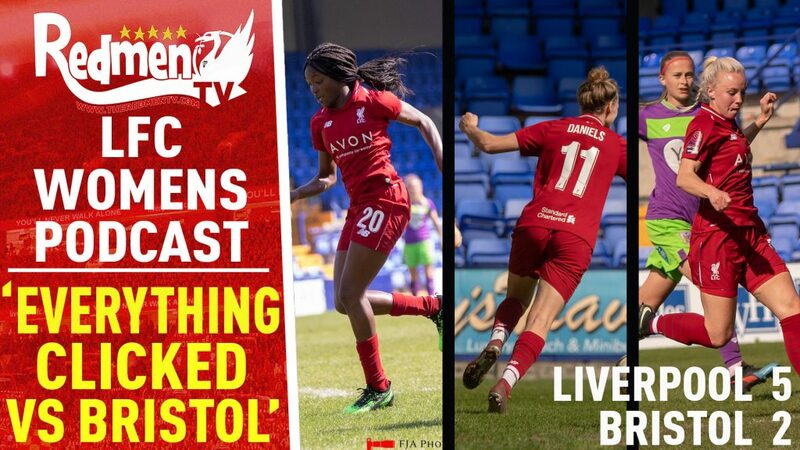 The Reds are unbeaten in the league, winning six games and drawing the other two. Having negotiated probably the toughest run of fixtures any team would get in a season, Jurgen Klopp’s men now face a prospect of beating teams they should beat in normal circumstances. 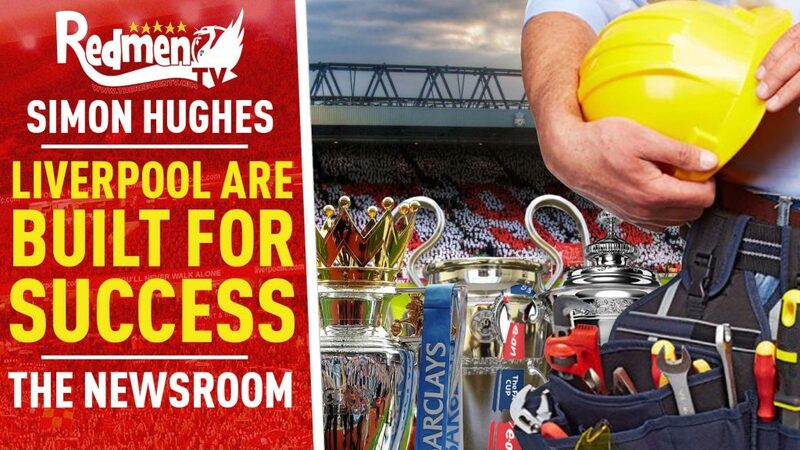 Starting from Saturday, Liverpool have nine of 11 games against the non-top-six sides until the end of December. Hence, if they continue their good form and rack up wins, we can witness an interesting title challenge by New Year. The Reds got the better of the Terriers on both occasions last season, with the same scoreline 3-0. So the general consensus is that the Saturday evening tea/coffee will taste sweet for the Merseysiders. However, any away Premier League game is not easy. Pre-empting any result would be a stupidity. The above image depicts the respective formations and lineups with which both teams can start tomorrow. Liverpool suffered injury blows to Mohamed Salah, Virgil van Dijk, Naby Keita and Sadio Mane during the international games. But the good news for them is that the former two trained on Thursday normally and are expected to start. The latter two may yet take time, especially Keita, whose hamstring strain would take time to heal. Mane had a successful thumb operation, and now it is up to Klopp whether he wants to use him on Saturday or wait till midweek. James Milner, who went off against Manchester City complaining about the hamstring injury, has miraculously recovered two weeks before schedule. Well, this proves the superhuman nature of the 32-year-old. 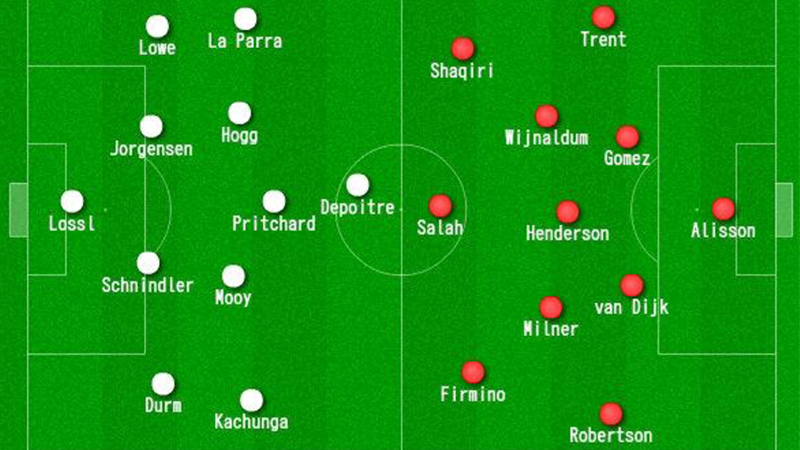 Taking everything into consideration, we might see a 4-3-3 formation deployed with Salah leading the line. It is because Xherdan Shaqiri would start on the right, pushing Roberto Firmino on the left in Mane role. 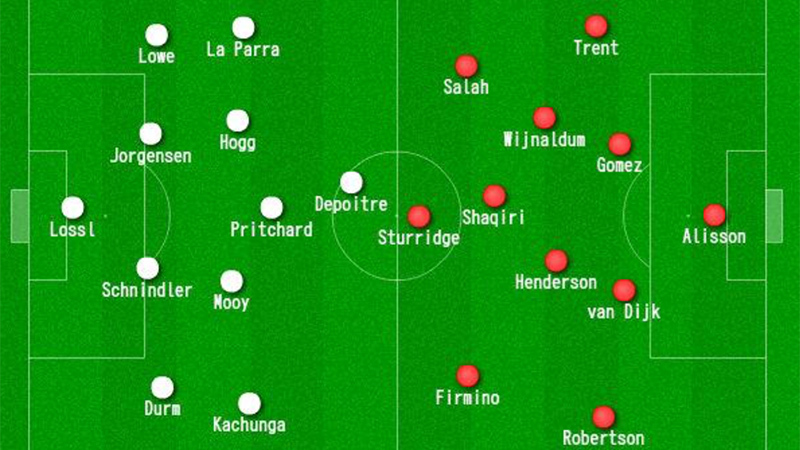 Perusing at the other side of the coin, Klopp can even not start with Milner and put Daniel Sturridge up top (as shown in the above image), changing the shape to 4-2-3-1. The permutations are aplenty for the German to consider and choose. For the home team though, Klopp’s best mate David Wagner has a lot of problems to solve. His team is not only failing to score goals but are also inept in defending as well. The Terriers have scored just four goals in eight games thus far, conceding 17. This kind of numbers is related to a side which flirts with relegation. Terence Kongolo is ruled out for this game, which will force the manager to start with a back four, as was the case against Burnley a fortnight ago. Christopher Schindler is just about fit to start alongside Mathias Jorgensen in central defence. Captain Tommy Smith is out, meaning Eric Durm will play at right-back. Aaron Mooy and Jonathan Hogg will sit in midfield protecting the centre-backs. The Aussie is generally good in a slightly advanced role, but injury Phillip Billing conveys that the former has to play in a double pivot. Alex Pritchard will slot in behind the striker, with Rajiv Van La Parra and Elias Kachunga providing the width. Laurent Depoitre is expected to lead the line. Liverpool will have more possession of the ball in this game is the most explicit cliché you will ever hear or witness. However, what they will do with that is the point to talk about. The Reds generally struggle when they come up against deep- defending teams. They can only get better by moving the ball at a brisk pace and tire the opposition defence into mistakes. The slower the passes, the easier it is for a team defending in numbers behind the ball. For that reason, playing a 4-2-3-1 formation would make more sense, just because the numbers around the box will be more in attacks. Shaqiri can play as a roaming number 10 with the front three moving across the box to make it difficult for the defenders to mark the runners. The two fullbacks will go forward, stretching the pitch and simultaneously looking to put devilish crosses into the box. All in all, it is a game where Klopp and his men have to try and pick the correct formula to break-down a defensive unit. If they protect their formation well and pass the ball with zip and accuracy, eventually the Huddersfield rearguard would surrender. It is about being patient and not over-trying for the Reds. 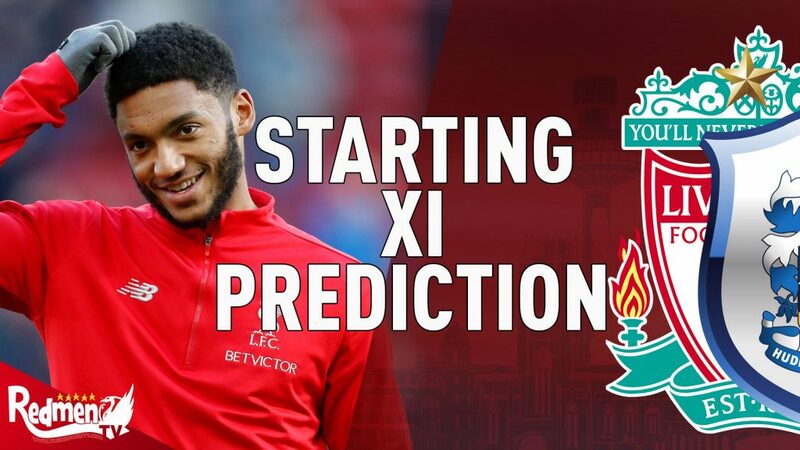 ‹ Starting XI: How should Liverpool Lineup Against Huddersfield?